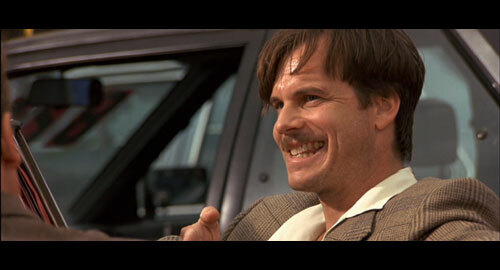 Here is Bill Paxton as a sleazy car salesman in True Lies. Or at least I think it’s Paxton. I guess it could just as easily be Pullman. I’ll let you decide. This entry was posted in Movie Steesh and tagged Bill Paxton, Bill Pullman, entertainment, Moustache, Movie, mustache, true lies. humor on August 22, 2012 by Los Bulls.